Attend our next meeting listed below. Updated 11 April 2019. THANK YOU – New for 2019, as an attendance thank you, we will be drawing for one nice gift for an attending member at each monthly meeting. We have a variety of things for giving, so please plan on attending as much as possible and see what you might win. We appreciate each and every one of you who give up a portion of their evening to come and share your stories, and help educate those who are newly diagnosed. This is our way of giving back. All meetings are from 7 to 9 p.m except November. See November’s meeting listing for further information. Please check below for place of meeting and when known information about the speaker and topic and a brief professional bio will also be given. We invite speakers to share with us during the first hour and if we have no speaker we may have a video relating to prostate cancer to view. The second hour we invite newly diagnosed patients to discuss their considerations for treatment. 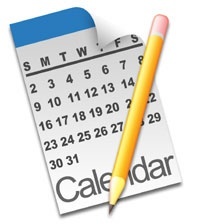 Meetings are held monthly, except for no meetings in January, February, and December. Note: If you have questions or concerns before the meetings feel free to contact Bill Palos, or one of our counselors as listed in our Support Group Counselors/Contact Us tab. January 17 2019 No meeting. See note above. February 21, 2019 No meeting. See note above. March 21, 2019 . Unity Point West – Trinity, 24th Street, Campus, Rock Island, Room 1 (go all the way down the hall past the Jardine Conference Room. Turn left, go to the end , and the room is on the right.) 7 to 9 pm In March we have; Judith Howell, RN, and Dan Moore, RN, with the Unity Point-Trinity Cancer Center will present an informational update of topics in “Diagnosis through Treatment” A Twenty dollar gift certificate to use at Chick-fil-A was won by Larry for attending the meeting. April 18, 2019 Bettendorf Campus of Unity Point Trinity, 4480 Utica Ridge Road, Bettendorf, IA in Conference Room A/B, located in the lower level just past the Cafeteria. 7 to 9 pm In April we have; Tracy Taylor, Ambassador Territory Manager, for Boston Scientific – AMS Men’s Health, will talk about artificial sphincters and penile implants, and possibly have samples to view. She also can tell us about a new injectable jell available that protects other organs when receiving radiation to the prostate. Tracy has asked Dr. Matt Bream with Urological Associates to join us, but does not have confirmation yet. June 20, 2019 Unity Point West – Trinity, 24th Street, Campus, Rock Island, Room 1, 7 to 9 pm In June we have; Jake and Diane Lowe, are longtime group members. Jake was diagnosed in 2006, and together with Diane they embarked on a path of using nutrition and watchful waiting to conquer Jake’s prostate cancer. Their story includes many details, and some additional factors they’ve had to deal with along the way, but it is a story of hope for those who choose watchful waiting. September 19, 2019 Unity Point West – Trinity, 24th Street, Campus, Rock Island, Room 1, 7 to 9 pm. John Deere Seeding Health Fair. Rock Island Arsenal Health Fair. Free PSA check at Metro Medical Lab. Coupons will be available at Triumph Community Bank, American Bank, First Midwest Bank & Trust and Rudy’s Taco . Check this site in June for other locations to get coupons. Coupons are good until September 30th. The men in the mexican communities have a higher degree of having prostate cancer. Other men who have a history of cancer in their family are also at high risk of having or getting prostate cancer. September 21, 2019 — RUN/ WALK FOR PROSTATE CANCER as part of the Quad Cities Marathon weekend activities. Join the walk and support our efforts. See the home page for more information. The funds from the Marathon stay in the Greater Quad Cities Region and are used to provide educational materials to men and their families dealing with prostate cancer. ALSO WE WILL HAVE A SPECIAL AWARD TO BE GIVEN TO ANY CITY THAT ENCOURAGES THEIR CITIZENS TO PARTICIPATE IN THE ONE MILE WALK FOR PROSTATE CANCER. THE CITY THAT HAS THE MOST ENTRIES WILL RECIEVE A TRAVELING TROPHY FOR ONE YEAR TO SIT IN THEIR OFFICE. OUR SUPPORT GROUP WILL ALSO OFFER TO CONDUCT A FREE PSA SCREENING TO ANY GROUP OR ORGANIZATION IN THEIR CITY. This year at our US TOO booth we will giving out coupons for a free PSA Screening at any Metro Lab with the results being sent to your home and during the mid day Metro Lab will be at the center doing the actual PSA screening. Also anyone who has had to deal with prostate cancer or know of someone in memory who had prostate cnacer and would like to partake in the Warrior Marathon relay team can contact me at larryxc@sbcglobal.net A relay team consists of five runners each running a leg of the course.